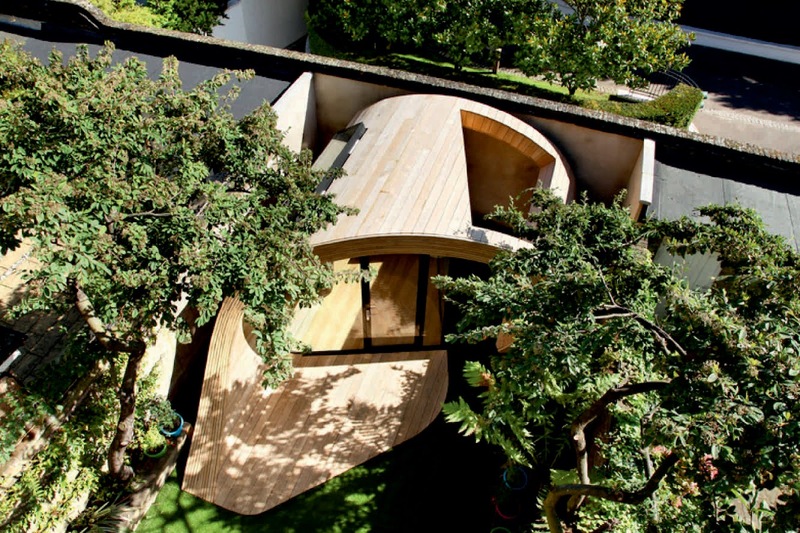 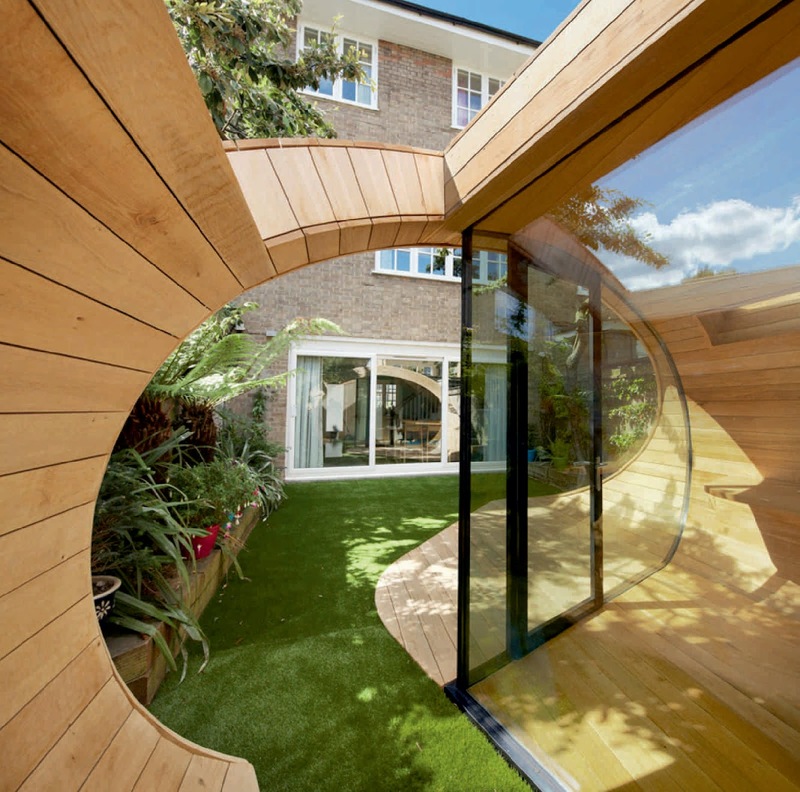 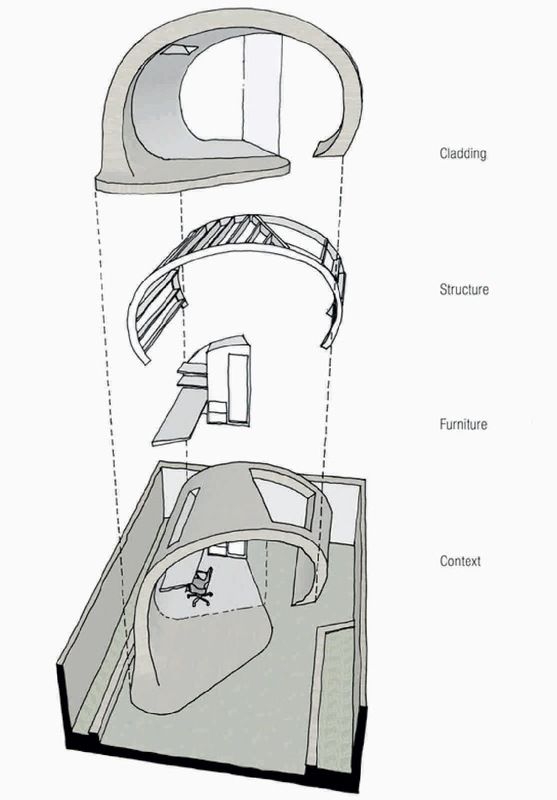 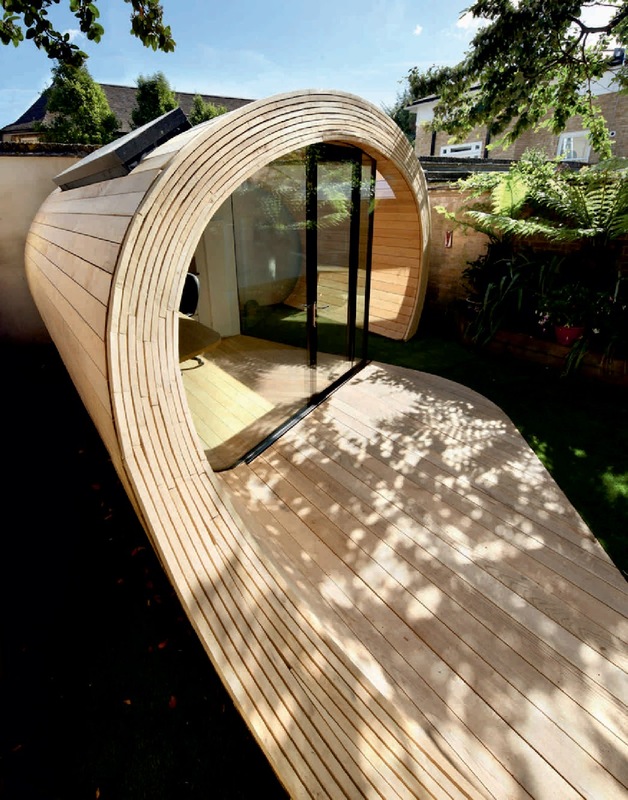 Shoffice (shed + office) is a garden pavilion containing a small office alongside garden storage space located to the rear of a 1950's terraced house in St John’s Wood with the brief requiring the shoffice to be conceived of as a sculptural object that flowed into the garden space. 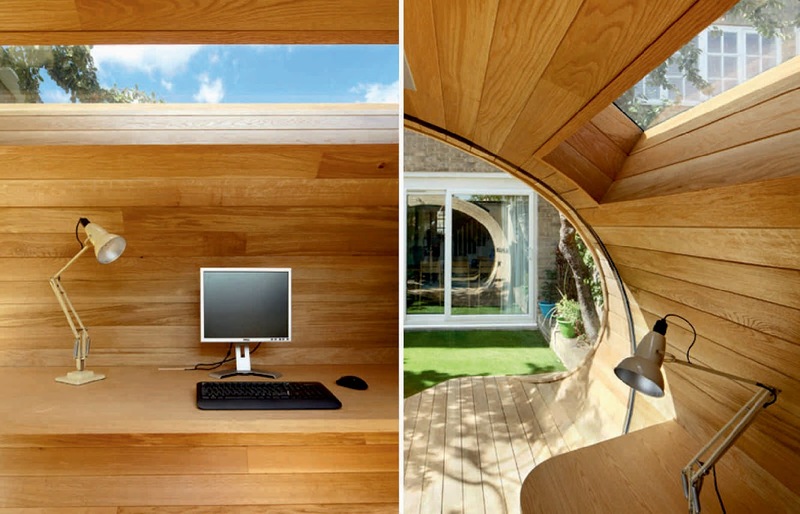 The interior is oak lined and fitted out with a cantilevered desk and storage. 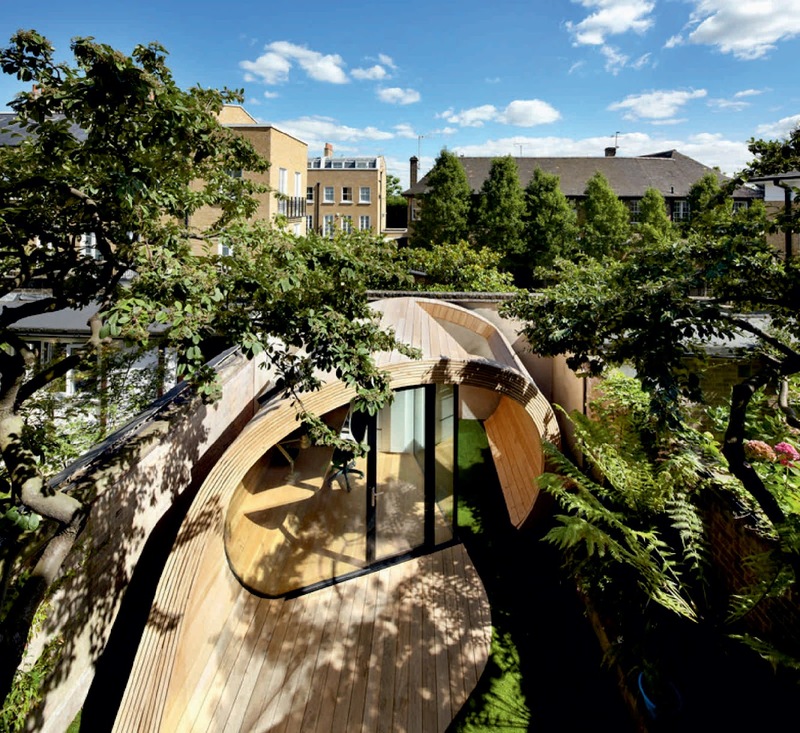 Two rooflights - one glazed above the desk with another open to the sky outside the office bring light into the work space. 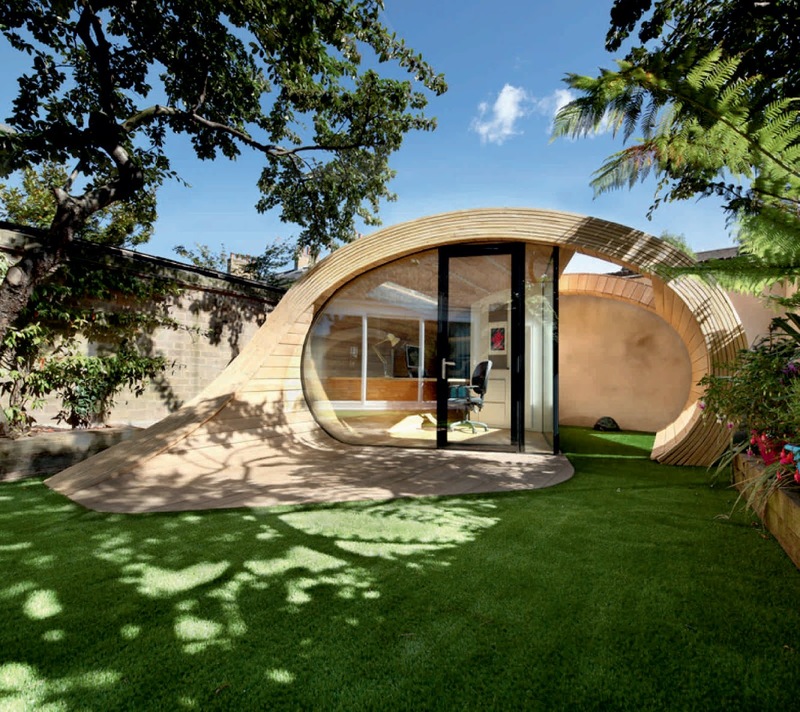 The lightweight structure, formed with two steel ring beams, timber ribs and a stressed plywood skin, sits on minimal pad foundations.